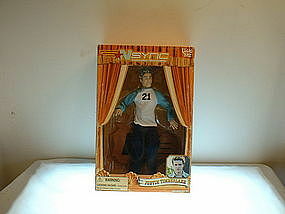 New in box Justin Timberlake Marionette has NOT been removed from box. The box does show shelfware from storage and handling. Please contact me for postage/shipping rates to your zip either by phone or email. There will be a $5 handling/packing fee added to total price which would include the item and shipping plus the $5.